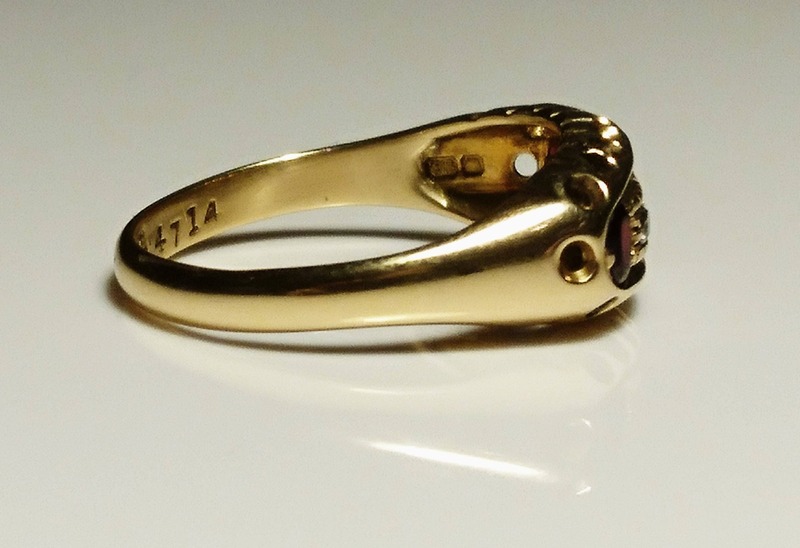 The ring bears full UK hallmarks for Chester 1915, makers mark C&G, 18ct (18kt) gold purity, the hallmarks are clearly legible and can be seen even without magnification. 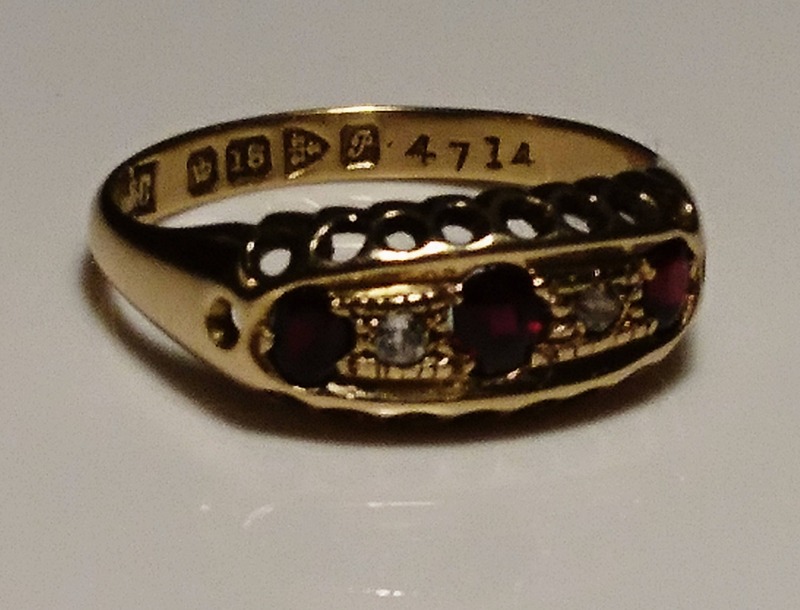 This grand ring has been very well made and very well looked after too, it has minimal wear, only some light surface scratches visible under loupe. 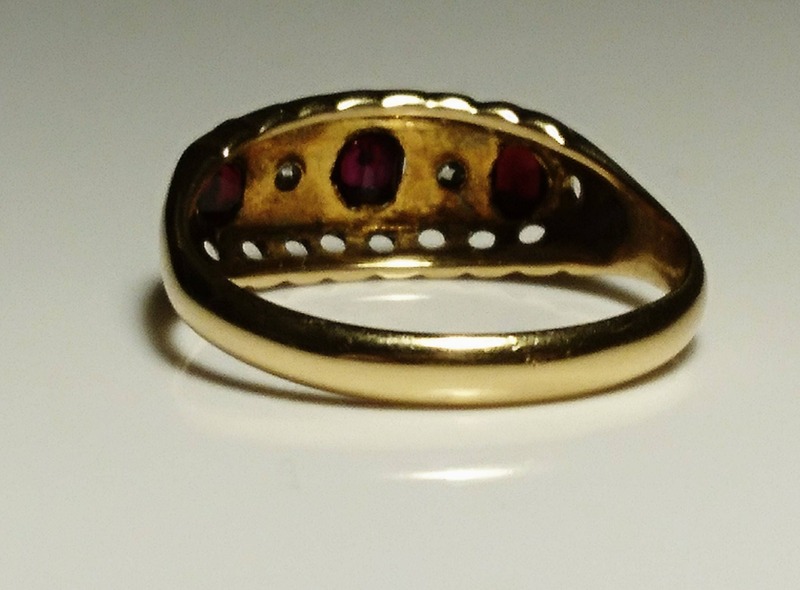 The thick 18ct gold band is in a good condition with no visible damage or repair, it weighs a nice 3 grams. 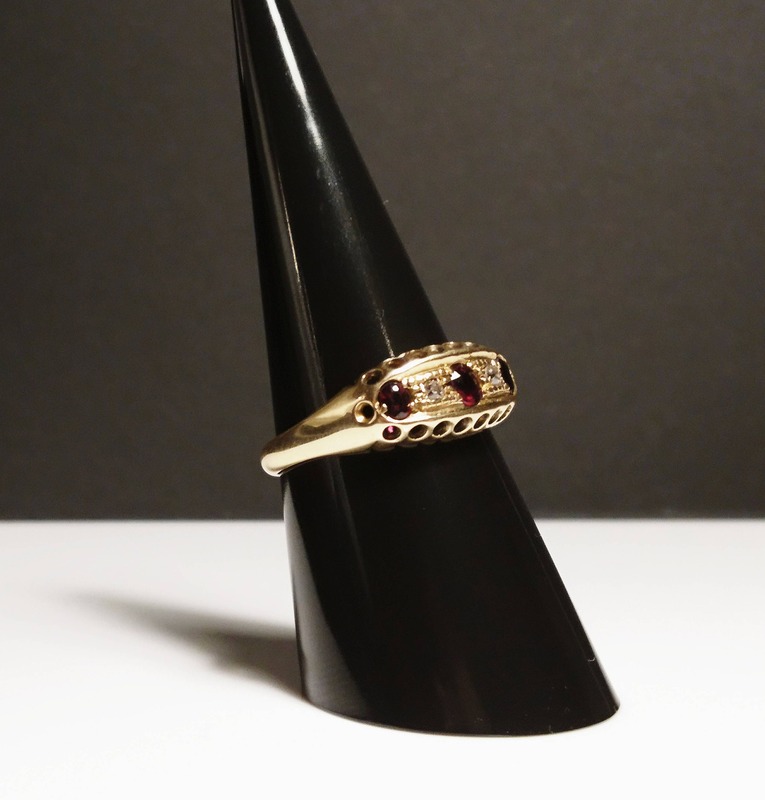 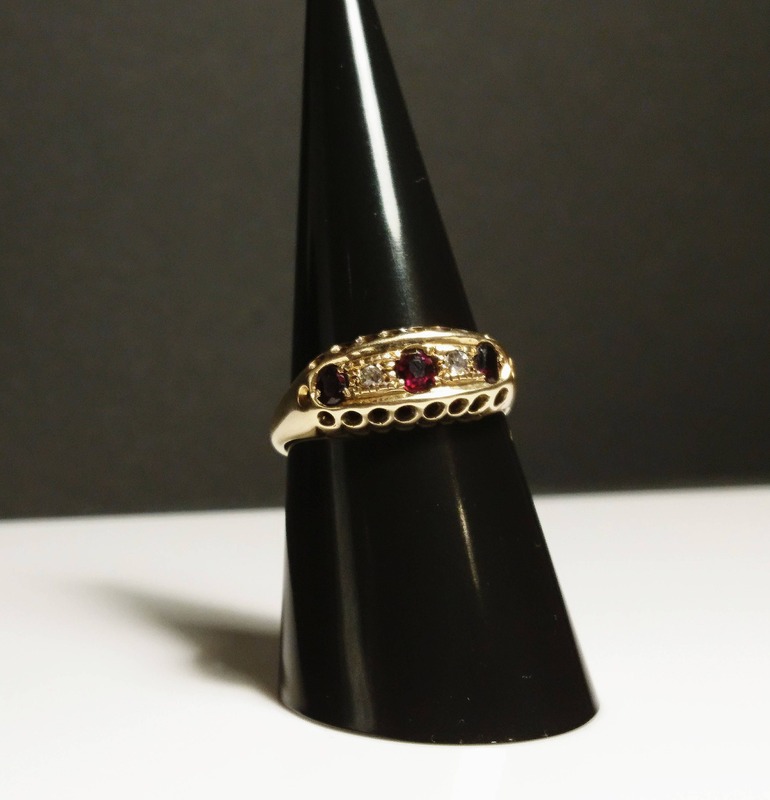 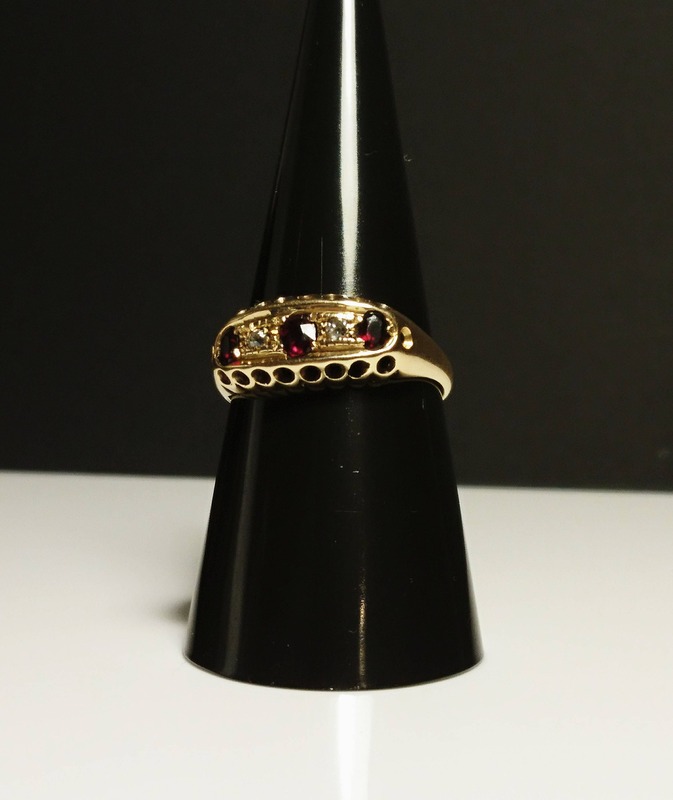 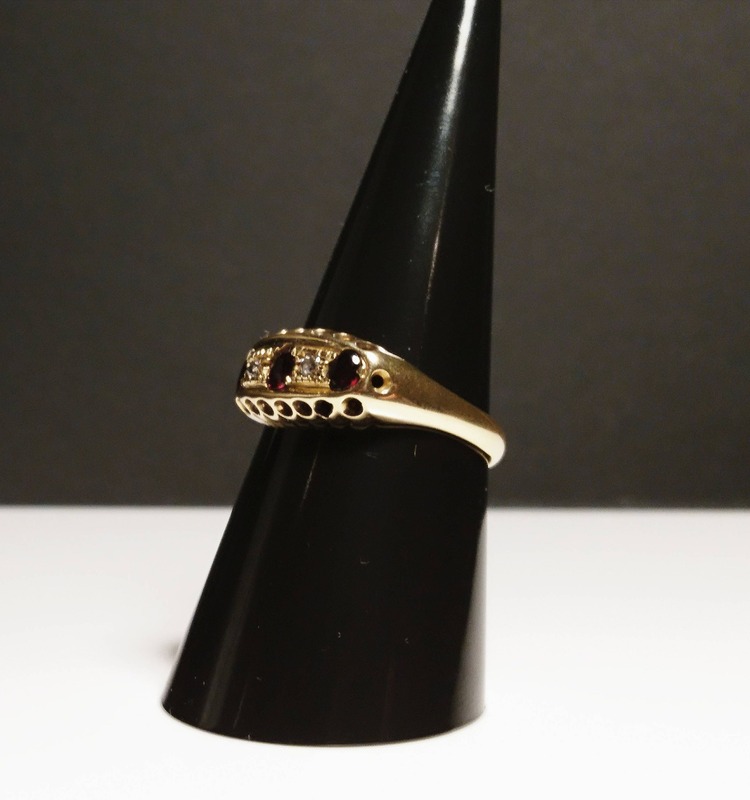 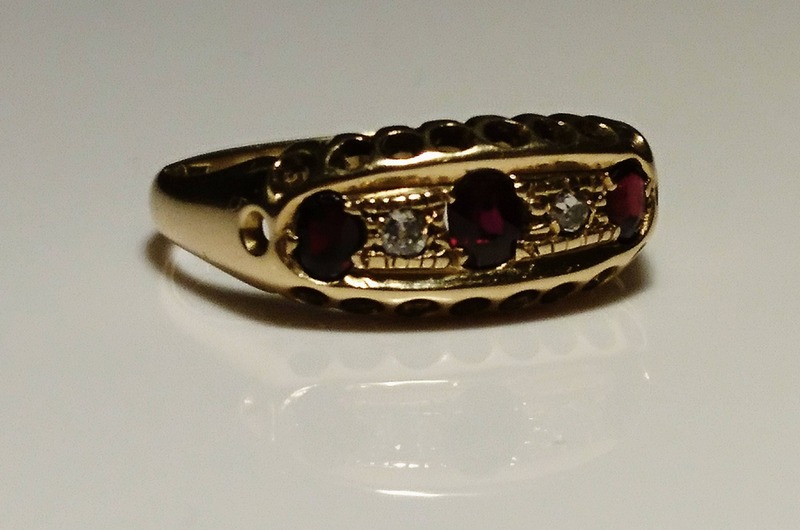 There are 3 good sized old cut round garnets to the front of the ring and two single old rose cut diamonds in between the three lustrous garnets, the central garnet measuring 4mm wide and 5mm high. 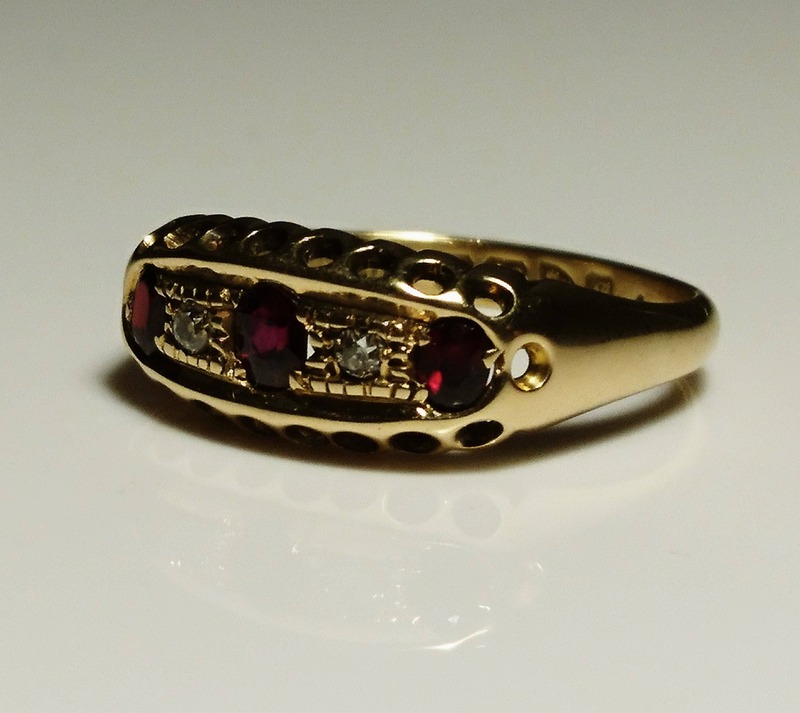 The diamonds are of good colour and clarity and are clear and bright and the garnets have a rich deep colouring with no fade or scratch. 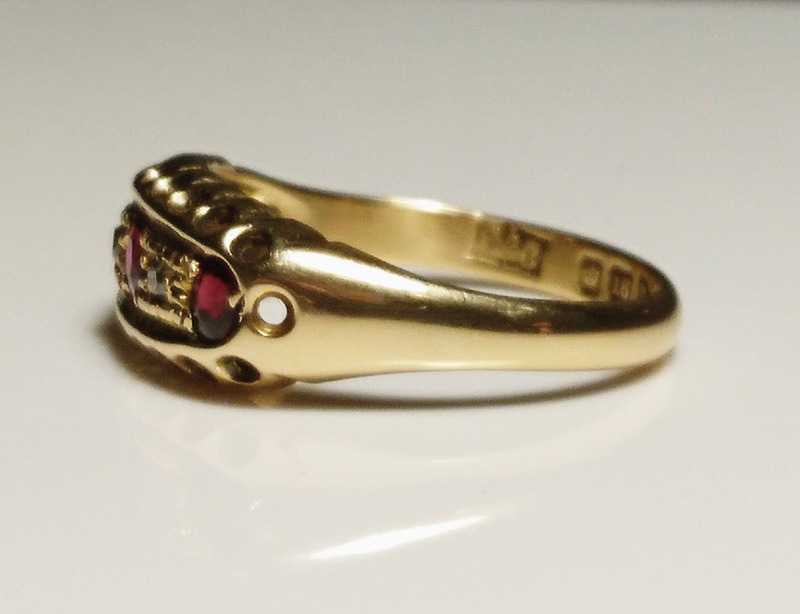 It is unusual to find such an old piece in such fine condition, just shy of the edwardian period and the short reign of king Edward at 102 years old it is in Immaculate condition.